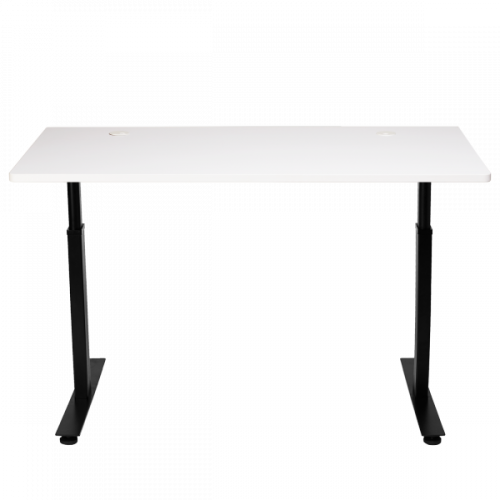 How to Choose your StandDesk! 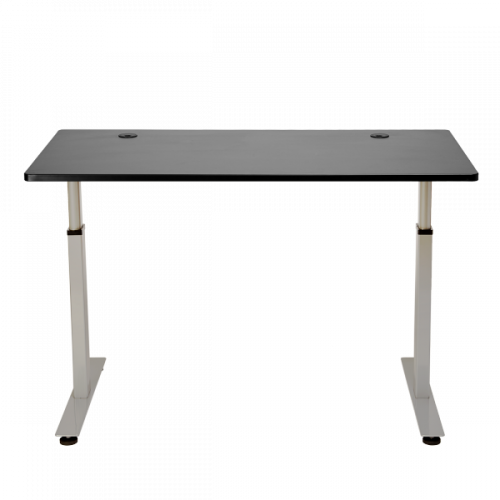 Configue your desk with a choice of Glossy Gray or Matte Black leg frames. Continue by choosing your STANDARD 2 button motor, STANDARD PLUS 2 button motor plus cable tray, or the DELUXE 4 button Memory Pad with Cable Tray. Then choose your table top whether it is the shiny Laminate Black or Laminate White or the refined Bamboo found in Beige or Brown. Tip: The Bamboo table tops can be used for Marker Board Markers to take notes and can be erased with a marker board eraser. "Standing for 3 hours a day, 5 days a week, burns 8lbs of fat per year." "Your heart beats 10 times per minute higher when standing. Over a year, that adds up to 30,000+calories burned, or equivalent of running 10 marathons." "Sitting more than 11 hours a day increases your risk of dying prematurely by 40%. Sitting 8-11 hours increases your risk by 15%." Sititng more than 9 hours a day is a lethal activity. Each additional hour beyond that threshold cuts your life expectancy by 22 minutes. That's equivalend to smoking 2 cigarettes." According to the World Health Organization, "21-25% of breast and colon cancer & 27% of diabetes is caused by sitting." I got this chair as my physician told me I should not be sitting all day. My review of the desk is that it is really important to get the memory pad so that you do not have to hold the up/down button. 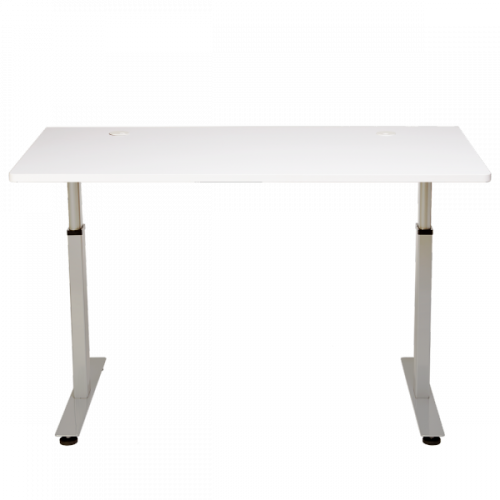 With 1 press of a button you can have the desk raise to your desired height. 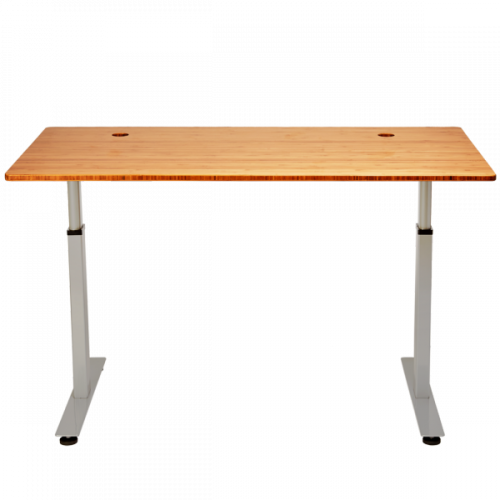 I also think that most sit to stand desks are severely overpriced and that this is the best bang for your buck since they all pretty much work the same. Love my standdesk! I highly recommend the darker bamboo colored top. I got it in 30x60 with the memory pad, cable tray, and I bought anti-fatigue mat as well. I actually keep forgetting that the bamboo top works as a dry erase board as well and I use a dry erase marker sometimes to take down a number if I do not have a sticky note in front of me. It has really helped strengthen my legs and back as I stand about 15 minutes every hour and I feel stronger during the day and stronger away from work because I do not slouch in my chair like I used to. Highly recommend this desk. 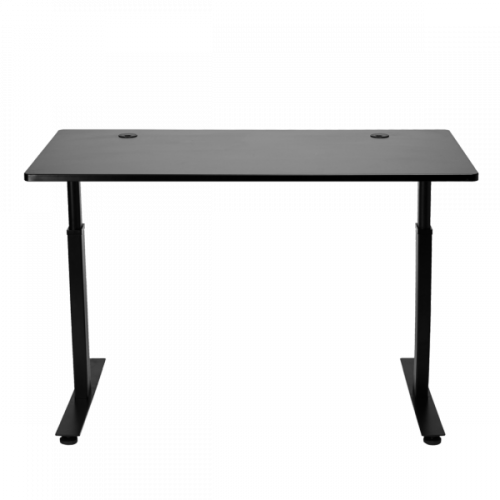 I had been looking for quite some time for a standing desk and this by far is the best quality and price I was able to find. I really needed something to help me be more productive while at work (we all get that little twitch) and this allows me to change up my position and use that twitch as a trigger to move my desk up. It's also helped me lower my blood pressure a little bit now that I've been using it for a few months. Highly recommend. I was a little skeptical at first about a standing desk. I had worked so effectively for so many years like everyone else at a normal desk, I was afraid to switch. I can say with confidence that I will never look back to a normal sitting desk again. The free range of motion I get by letting my legs breathe and giving my body a chance to stretch increases my work productivity. I usually would start getting really tired around 3PM, but after switching to a standing desk, that problem seems to go away. Whenever I feel myself starting to fade, a standing desk can be a great kickstarter to a new batch of work. From the beginning of my search for my team we needed something that we could outfit our office with in a short period. We were able to get these in less than 10 days. There are different models, but I really dont need anything other than the standard. I would definitely encourage buying a standing mat inf you are going to be standing at times during the day as it makes a big difference. This was a great purchase as my team feels invigorated.